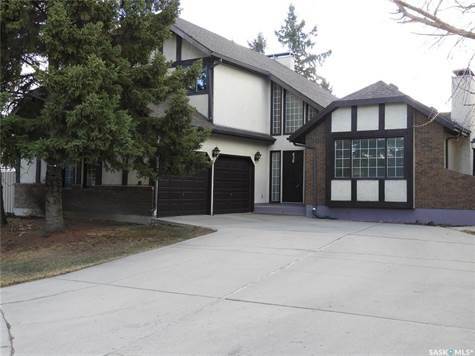 Excellent Silverwood Cul-de-sac Location!\r\nThis spacious Tudor style two storey home features 1922 sq ft, four bedrooms, three bathrooms, a spacious entry with a beautiful stairwell overlooking the main floor. A large living room, formal dining room and a bright kitchen with lots of cabinets, stainless steel appliances, garden doors to a large deck and a dining area open to the family room. Main floor den/laundry mudroom and direct entry to the garage. The upper level has four bedrooms, a spacious master bedroom with two closets and a 3-piece ensuite bathroom. Two fireplaces, central vacuum and newer central air conditioning. Many upgrades including the furnace, shingles, windows and hardwood flooring. Newer garden doors to a mature fully fenced yard with a newer deck, patio area, garden and 12x12 wired shed/shop. This is a very well-maintained family home with the same owners for many years. A fabulous location, close to elementary and high schools, parks, churches, shopping and all conveniences!